We are most distressed by the consequences of the removal of the dog bins on Butts Close. 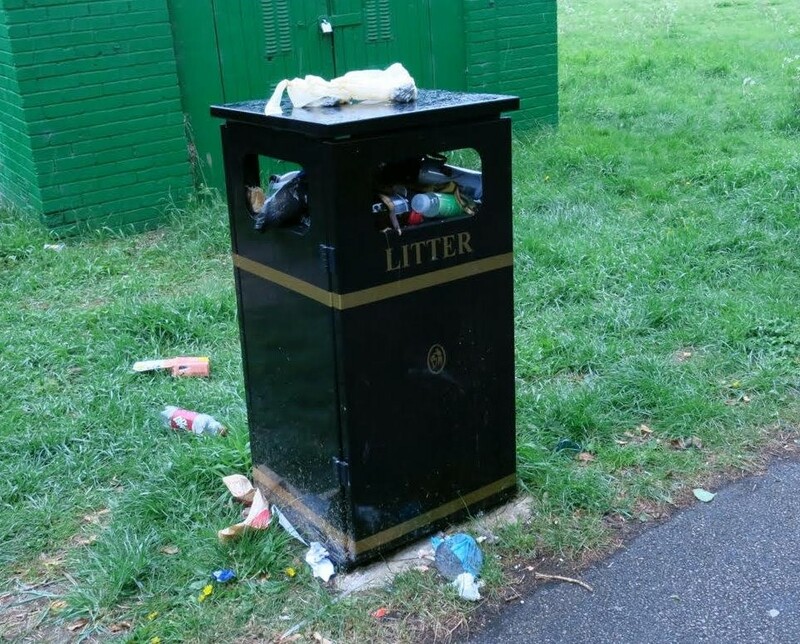 The suggestion, as reported in the local press, that dog-walking members of the public could add their dog’s excrement to the existing litter bins reinforces the view that the Council has an ill-judged sense of priorities. The Council’s own policies  for Butts Close include ensuring the provision of clear and welcoming access into and throughout the site, ensuring that visitors to Butts Close feel safe and able to enjoy the site at all times, and ensuring that the standard of maintenance is maintained and relevant. This photograph of a litter bin at the Elmside Walk entrance to the Close illustrates how these policy objectives are being undermined. The purpose of providing these bins was sound. They have successfully improved the amenity value of the site, increased safety for the public, and mitigated the health risks from multiple parasitic and bacterial infections that can be passed on to humans. Historically, local Councils were instrumental in improving the health of their residents by creating and following enlightened public health policies. It is sad that this valuable function is being undermined by a short-sighted and, frankly, dangerous decision, and we urge you to reverse it. The Butts Close Greenspace Action Plan 2016-2021, NHDC and CMS, Jan 2016. Fact file -purported saving of £29,000 is 0.043% of NHDC 2017/18 budget of £67m.